We are an award winning design based kitchen and bathroom company who through our creative and innovative focus, offer you more than design. We achieve unique concepts. With a rare combination of over 20 years kitchen/joinery industry trade experience and award winning design expertise, we look after you from the initial design concept/planning phase through to project installation and completion. Quality, personalised service and originality are central to everything we do to achieve excellence within your budget. Read what our clients say about us. 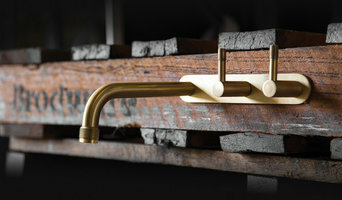 Design Bathware was established in 2005 and has built an outstanding reputation as one of the Illawarra’s leading specialists of Australian and imported luxury designer bathroom and kitchen products. We have over 10 years of experience in the bathroom industry and pride ourselves on providing our customers with integrity, style and personalised service to ensure we deliver to our customers their desired results. Specialising in high end bathroom renovations. Constructing luxury bathrooms and delivering a smooth hassle free build is something we are extremely proud of. Completing full bathroom renovations using reliable, trustworthy and professional tradesmen to put your mind at ease while strangers work within your home. Keeping your home tidy and clean throughout your project. Above and beyond our competitors. 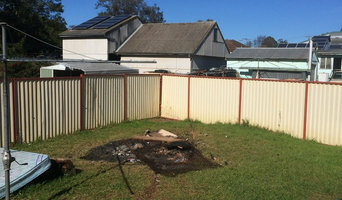 Please visit our website WWW.BUILTBETA.COM or call Luke on 0432949686 to book in an in-depth initial renovation consultation. Our Vision Our Vision is to be Sydney's best luxury bathroom renovation company. Being the best means providing the highest quality workmanship and customer satisfaction ensuring every project ends with a smile. Our Mission At Built Beta, our mission, is to create the best looking and most functional bathrooms to suit any layout you may have as well as keeping up with our reputation as having the happiest customers. Our Values As a company, and as individuals, we value... Honesty, passion for perfection, self improvement, the ability to step outside the box, push beyond the standard and full commitment to our clients. BUILDOM® Bathroom Pods At BUILDOM®, we take our role as bathroom pod manufacturers very seriously. By building a bathroom pod in a factory, we can ensure that every high quality bathroom we produce meets the same identical high standards. We work with you to make sure that the prototype design meets your requirements. We then map out production timeframes and delivery dates in accordance with your project timeframes. Our dedicated factories provide clean and dry conditions for consistently high quality results. Fine tuned assembly processes, efficient materials procurement processes and superior quality assurance monitoring ensures delivery on time, every time. Grand Bathrooms specialise in offering Wall & Floor Tiles aswell as Bathroom Ware direct to the public at wholesale prices (Tradies welcome). 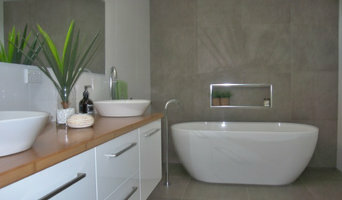 We also offer bathroom builds and renovations using qualified builders whom supply and fit our ranges. Operated in Minto, NSW, we have over 20 years experience and service all Sydney Suburbs. We have qualified builders ready for: Bathroom Renovations Disabled Bathroom Modifications Waterproofing Plumbing Carpentry Painting Electrical General Maintenance /Repairs Wall & Floor Tiling Plastering Glazing (Shower Screens & Wardrobes) Asbestos Removal Grand Bathrooms are licensed, fully insured and reliable. Warranty: Our warranty period is 10 years for all work carried out, in accordance with Australian Standards and Building Code Australia. Illawarra Bathrooms And Tiles Pty Ltd are a fully licensed and qualified team of tiling contractors that are known for providing flawless renovation services for indoor and outdoor living areas and bathrooms and kitchens. Based in Illawarra, we have a wide service range and have provided fantastic tiling services throughout the entire South Coast such as Wollongong, Kiama, Mittagong, Albion Park, Penrose and beyond. An experienced team can be the difference between a good tiling job and a great tiling job. We have over 20 years of hands on expert experience and have assisted a wide range of clients with all different visions, ideas and budgets. More than a decade on from where we first started, we have realised our dream of providing Australian consumers with quality Italian-designed kitchen, bathroom and laundry tapware. We produce our products and accessories in diverse finishes, colour and styles and are unique in our commitment to saving a valuable resource and saving you money on your energy bills. For this reason, we are very proud of our pre-made products, but also of our ability to make any product to your specifications to suit your decor and lifestyle. Through predicting the needs of the market and innovation, LINSOL continually provide the most comprehensive range of reliable, high quality, smart and stylish bathroom products in Australia. It’s not hard to see why LINSOL has been considered a market leader in the industry for so many years. William Wallace (Bill), is a licensed reputable plumber and Master Builder certified Kitchen, Laundry and Bathroom (KLB) Renovator with over 18 years experience in the trade in both Australia and the United Kingdom. It is these extensive years of experience that has allowed him to become a proficient plumber and renovator with expertise in all fields of plumbing, including kitchen/bathroom renovations, hot water heaters and gas installations, roofs and guttering, maintenance, strata, drainage and sewer works. William Wallace Plumbing has experience in both commercial and residential plumbing. Build Value Bathrooms and Build Value Home Improvements is a Sydney based company with a focus on quality through execution and value. 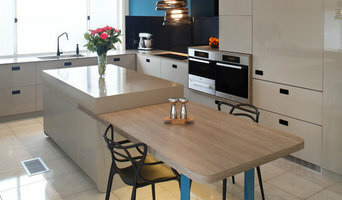 Artline Renovations specialise in home renovations including bathrooms and kitchens. We’ve designed, built and installed stylish kitchens and bathrooms throughout Sydney for over 10 years. For zero deposit and obligation free quotes, visit www.artlinerenos.com.au or call 02 9824 7871. Artline Renovations specialise in home renovations including bathrooms and kitchens. We've designed, built and installed stylish kitchens and bathrooms throughout Sydney for over 10 years. At Artline Renovations, we use only the best quality materials.We have our experienced team of designers, tradies and showroom staff to help you complete your project at competitive prices. Bathroom Renovations for Your Home Artline Renovations will help you achieve successful design and build for your next bathroom renovation project. We have designs options available for a range of specific requirements, and can offer in-depth consultations and obligation free quotes. We have extensive experience from apartment and suites to multi-storey mansions. Click on the following links to find out more: Bathroom Renovations Campbelltown Bathroom Renovations Liverpool Bathroom Renovations Southern Highlands Bathroom Renovations Wollongong Transform your kitchen into culinary space that inspires you. Whether it is minor tweak, or you want to transform your kitchen to a new style, Artline Renovations will help you create stylish and unique space. We will work with you to reach the solution you desire in all types of budget and preferences, in terms of design and layout. We also provide kitchen renovation services throughout Sydney including: Kitchens Campbelltown Kitchens Renovations Liverpool Kitchens Southern Highlands Kitchens Renovations Wollongong Personal Service You can start to visualise your new kitchen using our no-obligation design and quote service. We will discuss the proposal with you in 3D layout, building plans, product selection and install costs. You pay absolutely nothing until the job is complete. Start your project by consulting one of our professional designers choose from one of our two extensive showrooms when starting your next renovation in Minto and Padstow (coming soon) or arranging for one of our mobile showrooms to visit your home. For zero deposit and obligation free quotes, visit www.artlinerenos.com.au or call 02 9824 7871 to find out more. With an eye for aesthetics and a practical approach to layout and design, Wollongong, New South Wales bathroom designers and renovators can help you create a well-planned space that suits both your needs and personal preferences. Many bathroom renovators in Wollongong, New South Wales offer a full-design service, from concept to completion. This includes accessing the homeowner’s wants and needs to ensure they provide a functional layout and design that is also attractive and blends in with the rest of the home. In addition, designers have a wealth of knowledge in product trends, materials and finishes, and can take the hassle out of deciding upon and sourcing accessories and hardware. Find a bathroom renovator on Houzz. 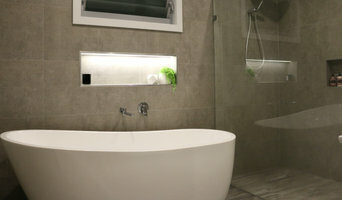 Scroll through this page to find the best bathroom renovators in Wollongong, New South Wales. Browse photos to see how their work compares to the scope of your project, read reviews to see how others rate their work, and message them directly to to ask any specific questions.